Click on the bars below to all the subdivisions and condo & townhome complexes in Hudson. You can also view the most popular searches such as ranch style homes, new construction, homes with a pool or houses with mountain views. Click to see Local Subdivision and Complex Maps. 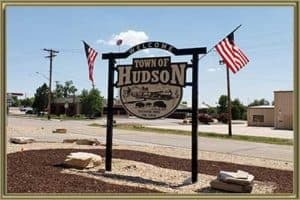 Hudson is a small North Metro town that has become a favorite amongst homeowners seeking the peace and tranquillity of rural living, but who don’t want to trade access to the city. Ideally located around 35 miles from downtown Denver, Hudson, CO fits the bill with access to splendid natural wonders and a strong community. Life in Hudson is relaxed, and families see the area as a great place to live, not least because there are excellent subdivisions in the area and an array of homes to choose from. Properties to suit all tastes and budgets are found in Hudson, although the rural setting of the town means there are no available complexes. Potential homeowners seeking an upscale lifestyle will be instantly won over by Estates at Bromley, a high-end subdivision that offers opulent homes amidst beautiful scenery. For many, living in Colorado is about mixing luxury with the rugged pursuit of the outdoors. With that in mind, Hudson is an excellent choice. The subdivisions of Crestwood Estates and Vantage Acres cater to our equestrian friend with specified horse zones, while homes in these communities are set on generous plots. Of course, some homeowners are seeking something more affordable, and the best place to look is Downtown Hudson, where you will be ideally located amongst town amenities. Reflecting the growing popularity of Hudson, Colorado as a town with commuter potential, two new subdivisions have arisen. Hudson Hills and Box Elder Creek Ranch offer modern homes in a still developing planned community. Hudson, Colorado is a small town with a population of under 2,500 people. This is probably the chief selling point of Hudson, the relaxed lifestyle the town affords. As mentioned, residents are not too far away from the big city lights of Denver, where they get all the things to do one could possibly think of. In Hudson itself, homeowners will see a good selection of local stores. Located on the edge of the Great Plains, Hudson provides plenty of natural beauty, which you can explore along trails. One of the main attractions near Hudson is the Wild Animal Sanctuary, a near-800-acre animal park that specializes in large predators. See all the Things to do in Hudson, CO. Deciding to live in Hudson is about embracing a peaceful life, even if you work in Denver. Hudson is becoming increasingly popular, so there is genuine competition for homes when they come on the market. Mike Lies and the team at Gold Compass Real Estate can help you through the process of finding and purchasing the property of your dreams. 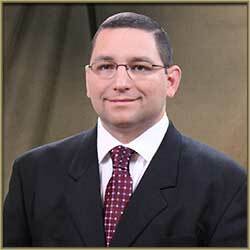 Gold Compass Real Estate is also able to provide professional expertise when you are selling a home in Hudson. We know the local market better than anyone, which is why people trust us to close the deal on the property you want to sell. Our team is available for staging and consultations, while we also provide a free Home Value Instantly Online. Buying a house can be daunting, which is why the team at Gold Compass Real Estate is here to do all the hard work. 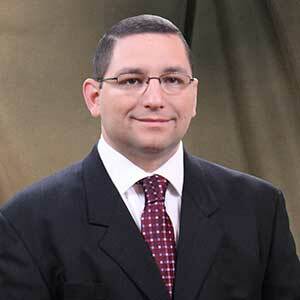 We want to ensure you are confident, so our team consists of professionals with vast experience in real estate. Finding a property you like is as easy as checking out our online listings, which are updated whenever there is a change to a home on the market. If you are weighing up a move to Hudson, or anywhere across Colorado, check out this Free Personalized Market Report for more details. For more information on moving to Hudson, CO, contact us at 305-325-5690.